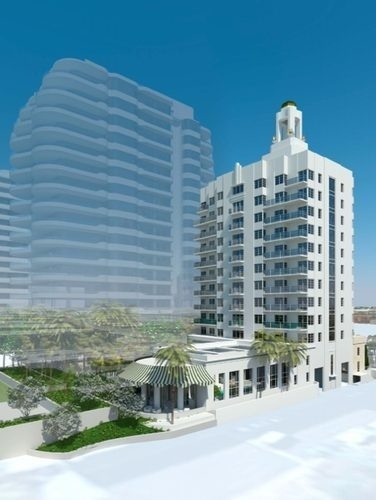 The NEW Faena Versailles Classic condos on Miami Beach. 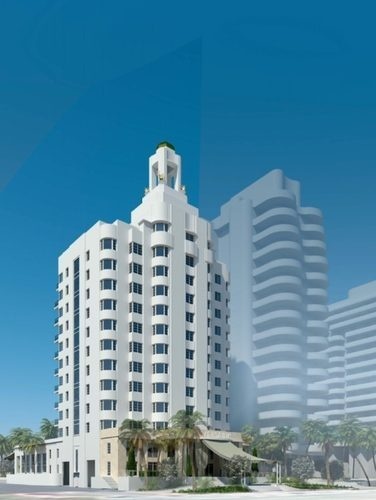 Luxury Miami Beach oceanfront condos at Faena Versailles Classic condos. 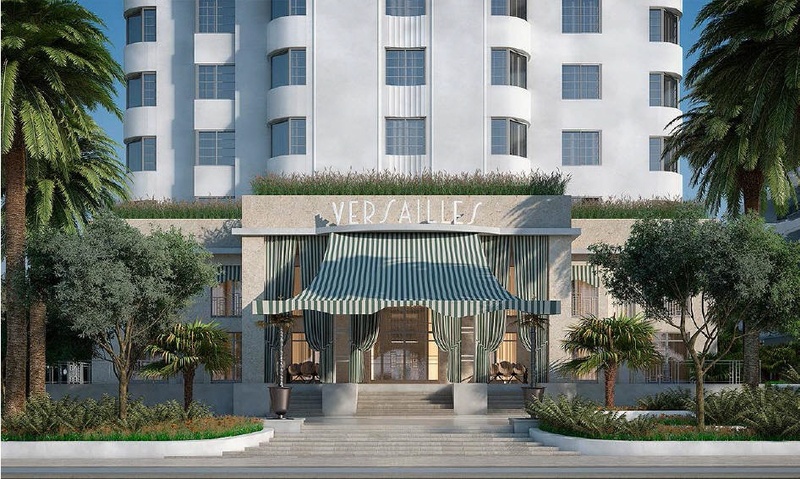 The NEW Faena Versailles Classic condominium on Miami Beach has begun the transformation from the iconic and historic Versailles Hotel into the ultra-luxury condominium - The Faena Versailles Classic Miami Beach condos. 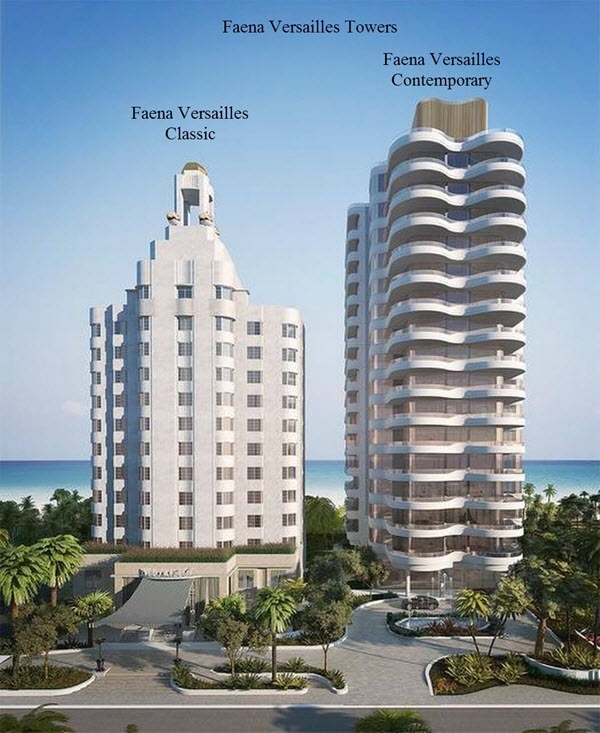 The Faena Versailles Classic Condominium will be located in the former oceanfront Versailles Hotel. 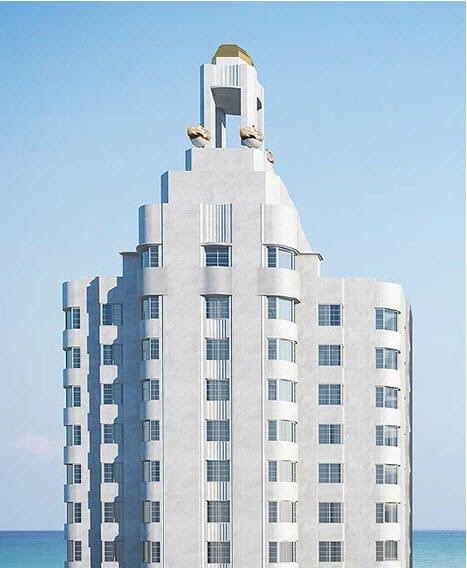 The building’s historic 1940 facade, grand lobby, terrazzo flooring and custom chandeliers will be preserved as the entire building and property undergoes the restoration, renovation of many of the historically protected and significant interior features, along with the creation of all new expansive luxury condominium floor plans on all the residence floors. The Faena Versailles Classic Miami Beach will offer just 22 luxury condominium residences with just two or three-residences per floor. 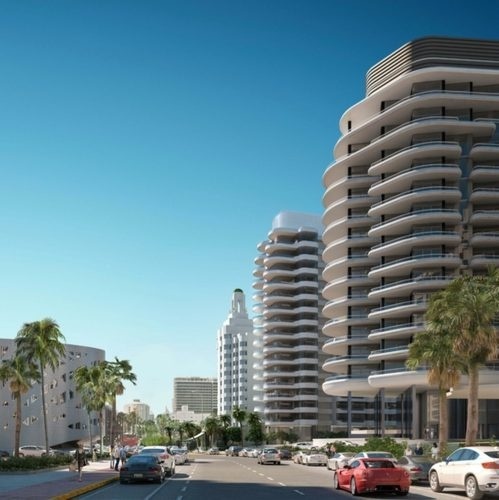 The Faena Versailles Classic Condominium tower’s 22 residences floor plans will feature magnificent ocean and city views. 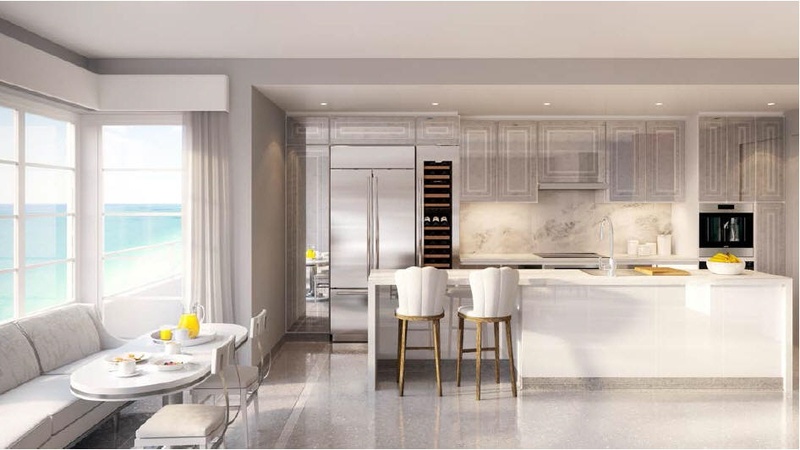 The newly created luxury residences will feature custom kitchens, custom bathrooms, all designed with top-of-the-line appliances, fixtures and materials, and much more. 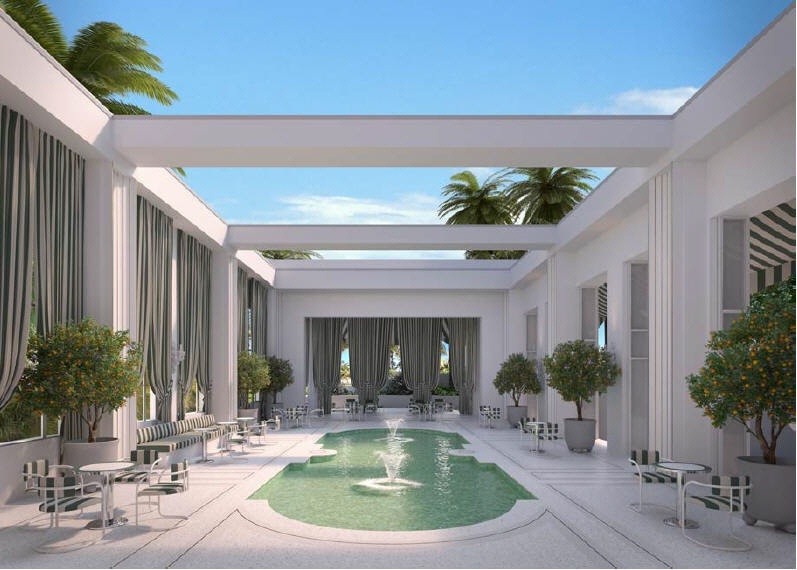 The Faena Versailles Classic residences will range from one to four-bedroom floor plans of approximately 1,034 to 2,743 square feet under air, the addition of balconies and terraces are shown in the first plan drawings for all the ocean facing residences. Additionally, two top-floor duplex penthouses (a 4-bedroom and 6-bedroom floor plan) will be offered with up to 7,300 square feet for each of the two penthouse homes. Each of the Faena Versailles Classic penthouses feature their own expansive outdoor terrace areas with private pool and cabana. Many of the luxury residences at the Faena Versailles Classic condos feature private elevator access to your home. 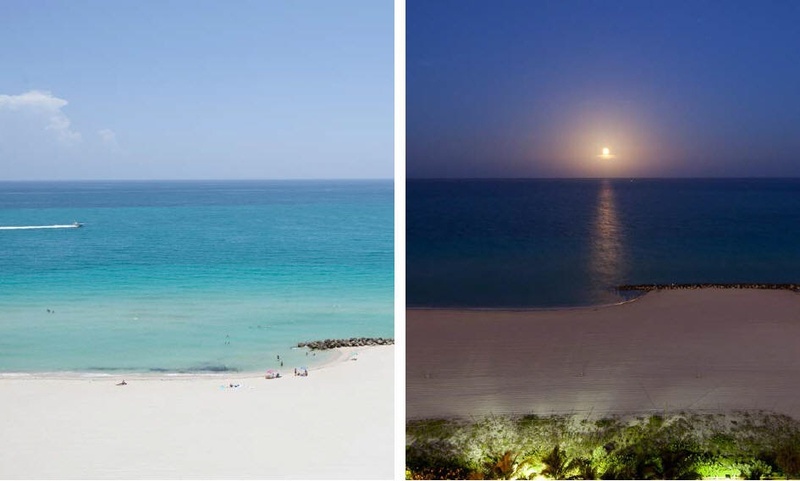 Current prices* range for these luxury Miami Beach oceanfront condos are from $3 million to more than $50 million. Amenities, features and services at the Faena Versailles will include (but are not limited to): valet parking, underground parking, storage spaces, two gyms, multiple pools, gardens by Raymond Jungles, and preferred status to components of the Faena district. Completion and occupancy is expected in 2017. 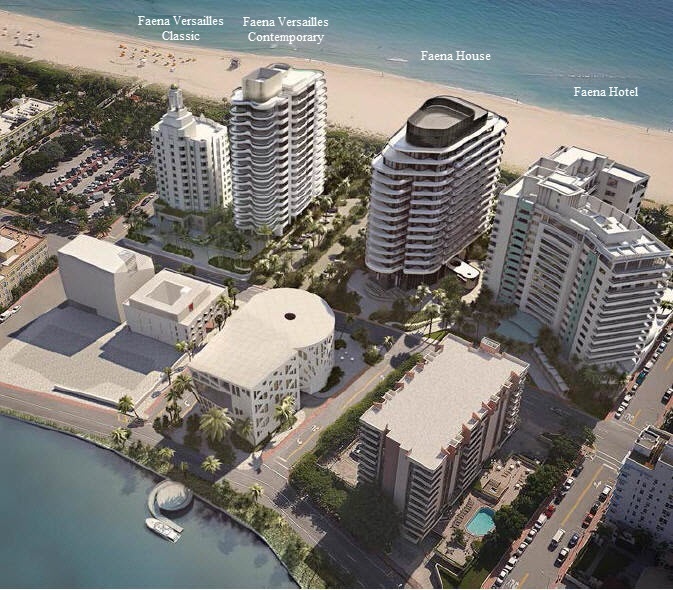 A second new luxury condominium will also be a part of the Faena Versailles condominium development. That luxury oceanfront condo is the Faena Versailles Contemporary Miami Beach, a 16-story beachfront tower with just 41 luxury residences. More details and information is being posted soon. Contact Linda "G" directly with any questions you may have, or to schedule an appointment to view this new luxury Miami Beach beachfront condominium property. 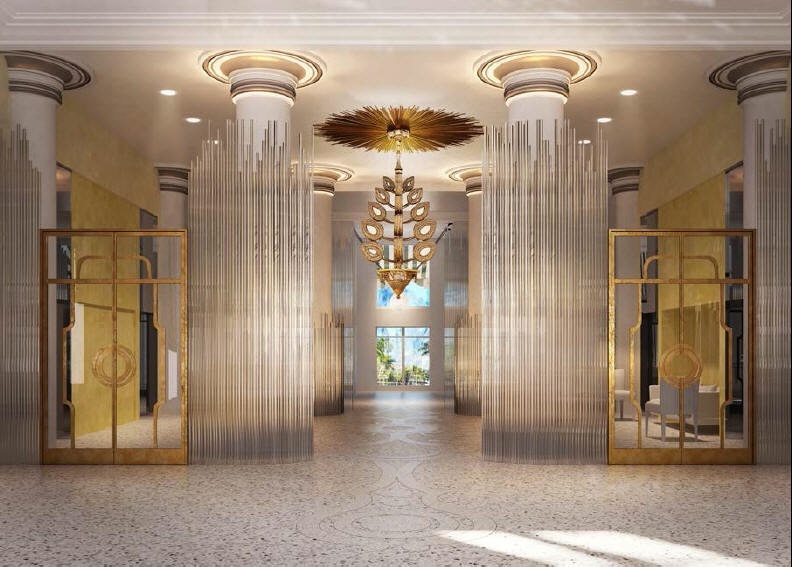 The developer has released a small selection of available condominium residences for sale at the Faena Versailles Classic condo onto the public MLS, those residences are listed below and do not include all avialable residences. 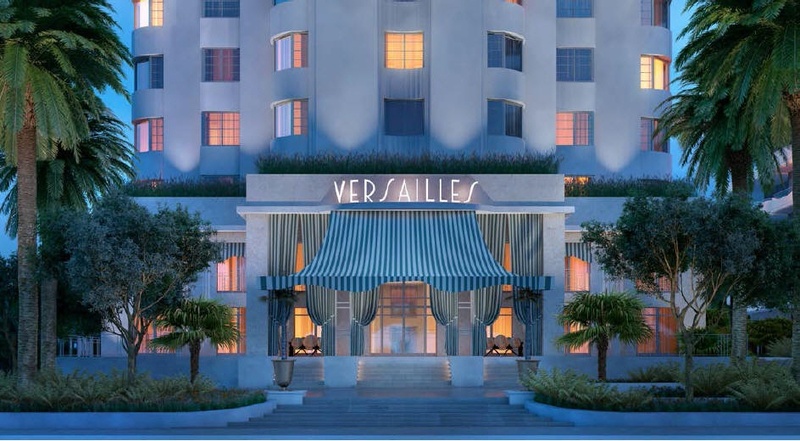 Please contact Linda "G" directly for the up-to-date list of all available Faena Versailles Classic condos for sale.